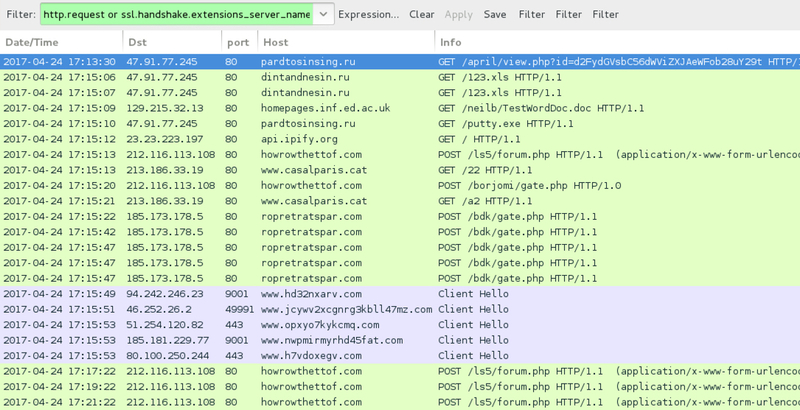 Sometime last week, links from Hancitor malspam started pointing to RTF files with a .doc extension that utilize an exploit for CVE-2017-0199. 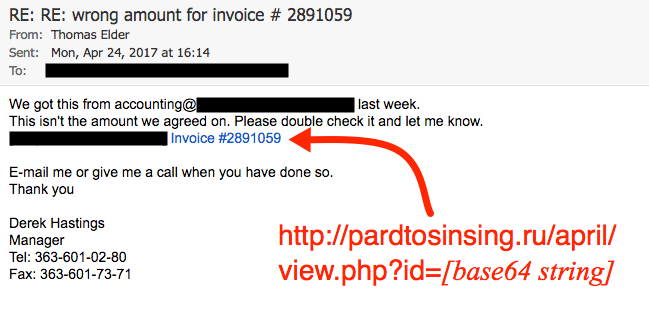 If their Windows host is still vulnerable, users only need to open the document to get infected (no macros involved). FireEye has a nice write-up here about how it works. 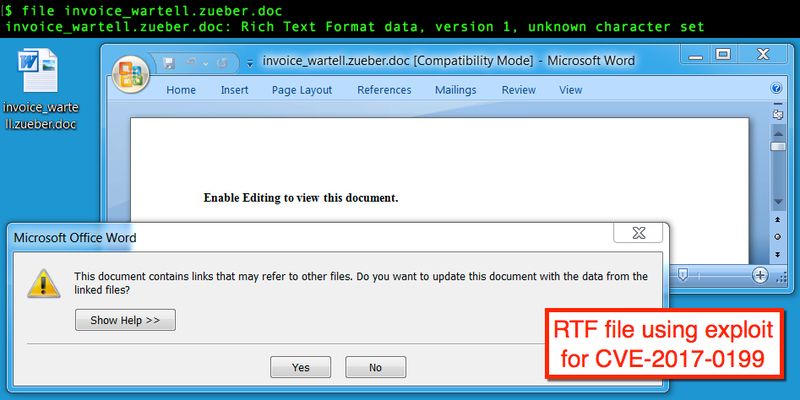 Shown above: Malicious RTF file from link in the malspam.